The Judicial Vacancy Advisory Commission is currently receiving applications to fill the judicial vacancy on the West Virginia Supreme Court of Appeals. Candidates must submit their completed applications and letters of recommendation or comment no later than 5:00 p.m. on December 3, 2018. Applications and instructions are available at www.governor.wv.gov. For more information about the application process, please call Manda Bickoff at 304-558-2000. Interviews will be held in Charleston on December 11, 2018. The Judicial Vacancy Advisory Commission is currently receiving applications to fill the judicial vacancy created by Senate Bill 528, on the 19th Judicial Circuit, serving Barbour and Taylor Counties. Candidates must submit their completed applications and letters of recommendation or comment no later than 5:00 p.m. on December 3, 2018. Applications and instructions are available at www.governor.wv.gov. For more information about the application process, please call Manda Bickoff at 304-558-2000. Interviews will be held in Charleston on December 11, 2018. The Veterans and Military Affairs Committee will be assisting the Marine Corps Reserve Unit in Cross Lanes with separating and counting toys for distribution on Saturday, December 8, and Sunday December 9, from 9 a.m. to 4:00 p.m. at the Reserve Center located at 103 Lakeview Dr. Nitro (Cross Lanes) 25313. If you are interested in helping, or have family or friends who would like to help, please contact Anita Casey at caseya@wvbar.org. The Law Offices of Pill & Pill will be serving as a drop off site for toys in the eastern panhandle. The offices are located at 85 Aikens Center, Martinsburg 25404. If you have questions about the drop off hours, contact Rick Pill at 304-263-4971. 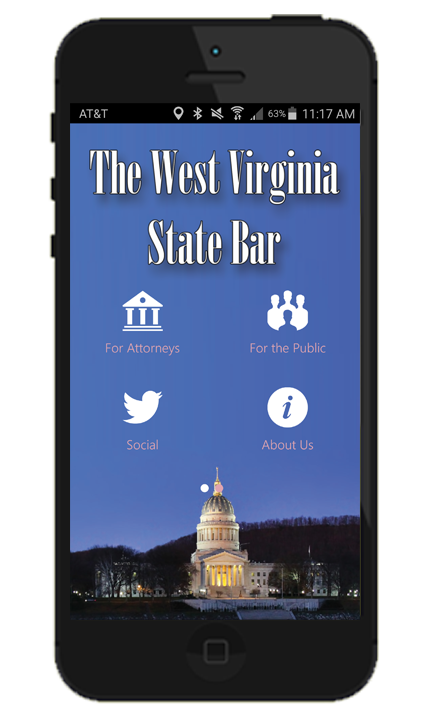 The West Virginia State Bar is seeking candidates for the position of Commissioner of the Legislative Claims Commission. The State Bar Board of Governors will nominate three (3) lawyers and will submit these names to the Speaker of the House and the President of the Senate for appointment to the Claims Commission. The term is for six (6) years. A minimum of ten (10) years’ experience as a licensed attorney is required. A full description of qualifications can be found in W.Va. Code Section 14-2-4 and 14-2-10, and compensation is provided for in W. Va. Code Section 14-2-8. This position involves hearing and deciding claims filed against state agencies and the Crime Victims Fund. The main offices of the Claims Commission are at the State Capitol with travel to other parts of the state for hearings. Some administrative law, mediation, or other judicial experience would be beneficial. If you qualify for appointment, and would like to be considered for nomination, please send your resume, with any supporting information and/or letters of reference, to Anita R. Casey, Executive Director, The West Virginia State Bar, 2000 Deitrick Blvd., Charleston, WV 25311 or caseya@wvbar.org. Nominations must be received by midnight, December 31, 2018.